Digital Transformation; perceived as mysterious and cloudy. A slow process which is difficult to embed in the company culture. But is it really? 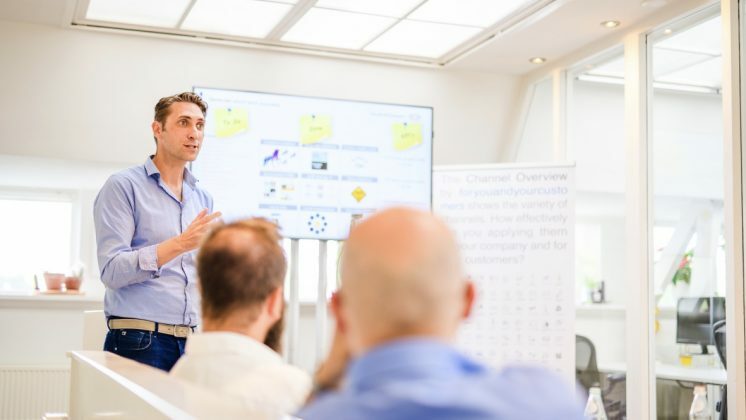 During the 39th Business Breakfast, Joris Herremans, Digital Manager of GrandVision, showed how a 5-step approach can provide structure throughout the transformation process. 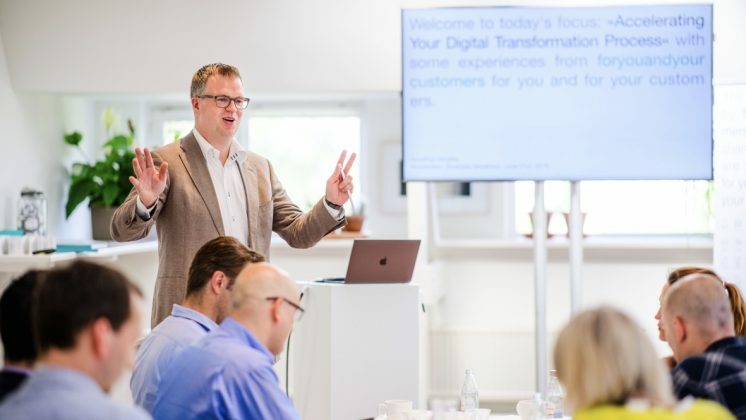 The founder offor​you​and​your​cus​tom​ers Jonathan Moeller interestingly compared Digital Transformation to the emergence of a butterfly. Curious how? Retailers in every market are experiencing disruption. This challenges the business to act fast but fast is not always the best way. It’s a process that needs to evolve. Digital transformation does not have a clear beginning nor end. It’s an ongoing, dynamic process which changes as technology develops. “It’s also a matter of people, without them things simply won’t happen” according to Joris. GrandVision’s 5-step approach is helping the business to transform from a traditional brick-and-mortar player towards an OmniChannel retailer; focused on creating the best experience for their consumers. 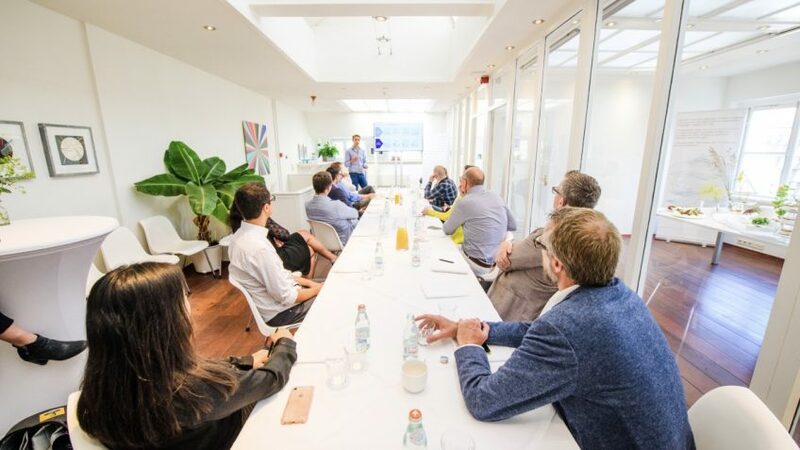 Joris emphasized that following these steps one by one without taking any shortcuts fuels growth. GrandVision’ assumptions and perception of the market were not meeting the current market conditions and consumers’ needs. 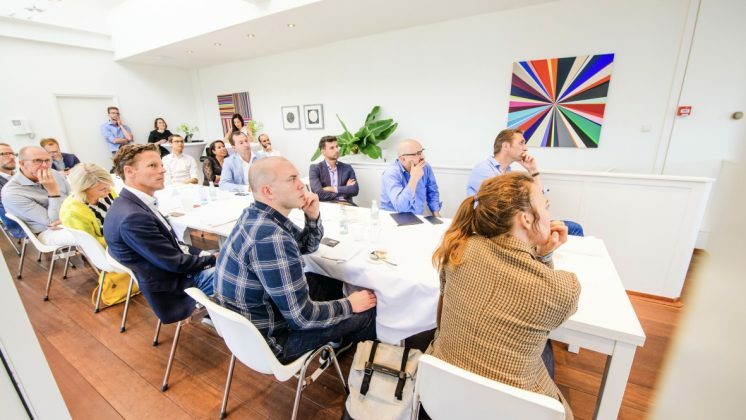 “With these insights, you create leverage within the organization,” says Joris. The ‘why must we change’ realization. Old tricks won’t provide the same results anymore so go out and ask your customer! What are their needs? Focus on the ‘Why, what, how’. Define how to outperform the market. Set your business basics right. Create new ideas for growth. New challenges require different people. Work with those that are eager, data-driven, online savvy and with a drive to change. Focus on fixing your basic customer needs. Internally show what you are doing and what it delivers. Change needs to be in the heart and mind. 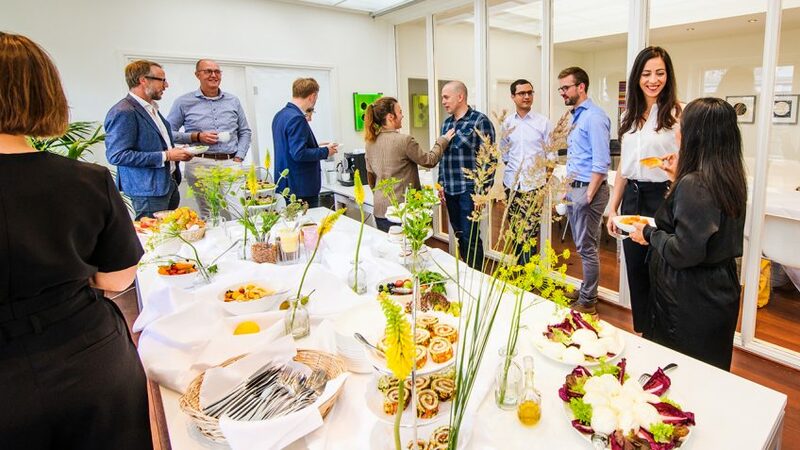 Therefore, GrandVision generated their company values ‘Do, Dare, Care’ together with their employees and incorporated them as KPI’s. The founder of foryouandyourcustomers Jonathan Moeller took the stage to share some bold statements. While arriving at Amsterdam Schiphol airport he observed several advertisements relating to Digital Transformation. He expressed his opinion that the word ‘Transformation’ is not at all the right one to use, as a transformation involves a complete change in something. In his view, a caterpillar that becomes a butterfly is the true sense of transformation. The caterpillar is no longer the same animal but a completely different one. Hence, he proposes to use the word ‘Change’ instead. People however, don’t change on short-term so how can you expect a company to do so? Reality is therefore important. Change happens step by step. In that sense, the word ‘Digital’ also not covers its meaning. New technology has enabled us to do many different things and we have to be able to adapt. Take electric vehicles Jonathan says. Exactly a 100 years ago the electric truck already existed and was widely used in the United States. Our current perception is that it is a new technology, as we associate it with Tesla. In Jonathan’s view, it is therefore not a ‘Digital Transformation’ but an ‘Analogue Change’. Start with a new common language that all organization layers and levels can use and that connects them with each other in order to ‘break through silos’. Within this subject, he emphasized the foryouandyourcustomers’ model known as ‘The Exploded View’. The model consists of six layers which provide clarity and overview of an organization. Jonathan mentioned the different channels that a customer uses and the ever-changing and increasing aspect of them. It is important that a company makes an evaluation of how each of the layers of ‘The Exploded View’ are performing, in order to know where the company is positioned and what the focus points are for change. Observe your consumer. Activate these insights and provide services that create Analogue Change. The company Hilti is a great example. By observing how construction workers used their products on site, Hilti was able to focus their business on product leasing and complementary services instead of selling equipment. A change that requires a different mindset and different systems. A participant thought the idea was quite brilliant and accurately stated that Hilti was therefore not ‘selling devices’ but the ‘capability of drilling’. Besides consumer observations, true change comes when you focus on ‘Employee Centricity’. You are better able to serve the customer by ensuring the right internal processes are in place and by having all eyes pointed towards the same goal. Analogue Change is about people not about technology. A customer view is a good start for change says Jonathan. Changing the way people operate is a much more complex process. The good thing is that there is more awareness within organisations about the importance of Analogue Change. So, push each other! Change must start from the head and that’s reality.